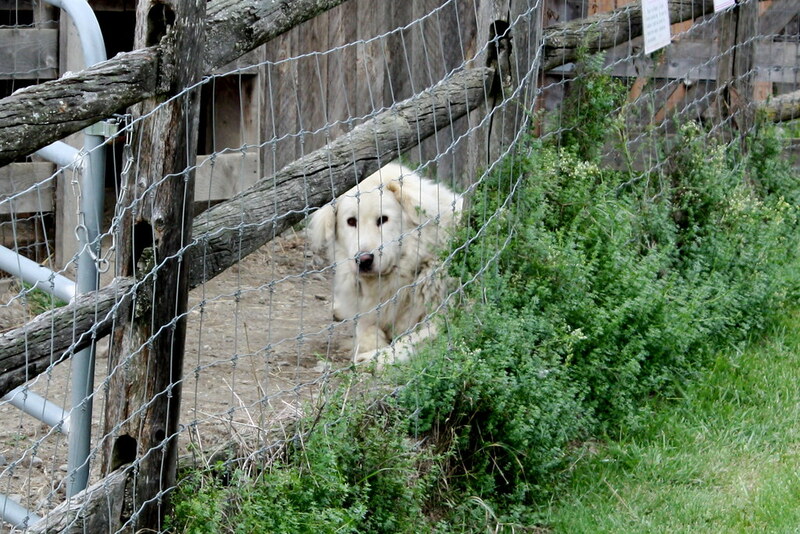 This very large Turkish guard dog protects the alpacas on the Cedar Brook Alpaca Farm from predators. He patrols the paddocks all night and sleeps all day. He was awake on Saturday because it was Open House at the farm. The dog chases off coyotes and other predators that attack alapacas. He has a large warm barn and a large run for the day time. There are signs on his fence warning people to stay clear of him because he is very protective of his alpacas.